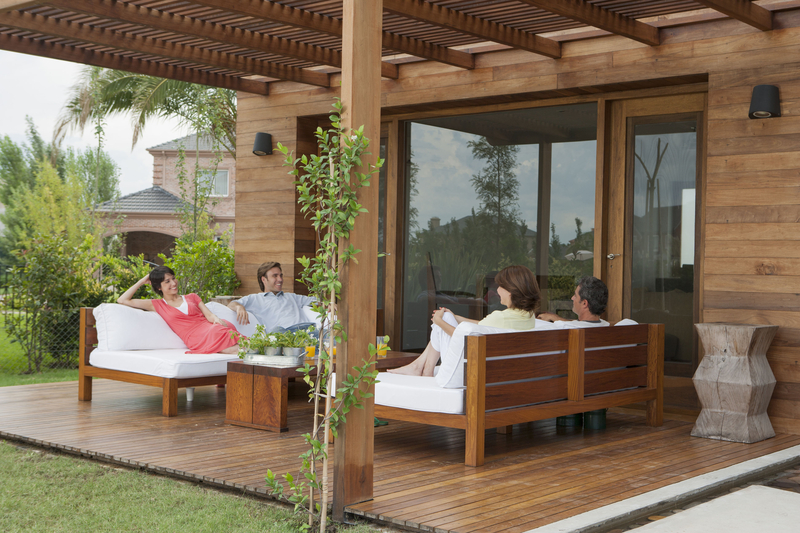 This season, beautify your outdoor living area by adopting some trending design tips. 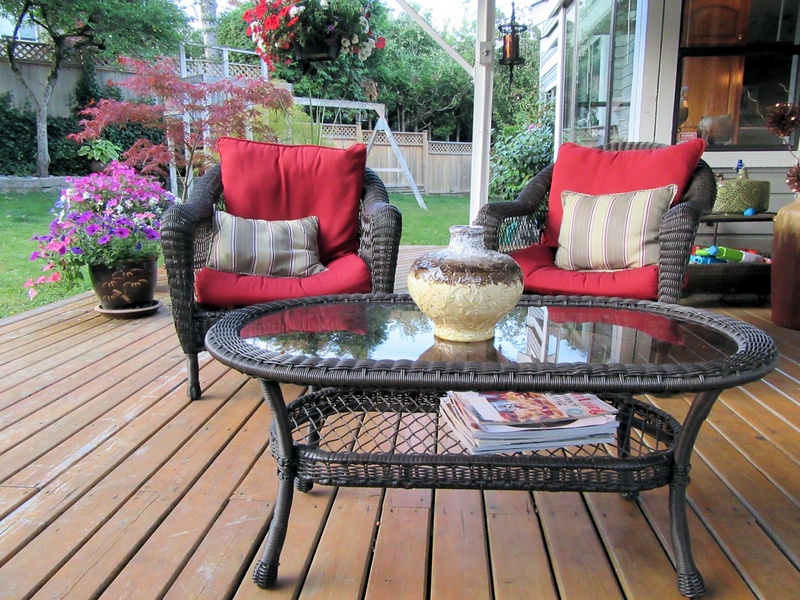 These days the phrase ‘Outdoor Living’ pertains to creating an outdoor room. 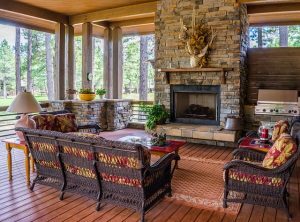 Outdoor living rooms are among many buyers’ wish lists and make for a great selling feature on a listing. Whether you have an expansive, small or mid sized outdoor space, here are some wonderful tips to enhance your outdoor living experience. Color Palette and Design – Consider continuing your indoor decor and color palette outdoors or try a fresh new look. Fabrics – Choose full, bright colors which complement the natural surrounding greenery. Use patterned accent pillows that lighten the bright palette. Living Room Worthy Outdoor Furniture – Fully upholstered furniture with plush cushions, combine different kinds of furniture to get an eclectic collectors’ look. Furniture Materials – Furniture Materials- Consider modern or traditional bamboo, cedarwood and redwood which resist warping, or water-resistant teakwood. You can also choose powdered metal for a modern look. Smooth and Fashionable Flooring – Paint the floor to give your porch the polish of a room and extend the life of your decking. White expands the look of a room, stripes are fashionable, and checkerboard timeless. Your floor should be smooth as to avoid splinters. Fire Features – Place art or a flat-screen monitor above the fireplace for an inviting and cozy look. Also, consider fire-pits as a flexible alternative to fixed fireplaces. All Seasons Room – Use screen enclosures and ceiling fans for the summer, shutters or track doors and heat lamps for the winter. Further Consideration on Materials – Consider materials that withstand weather-wear such as wrought iron or stone for outdoor chairs and tables.